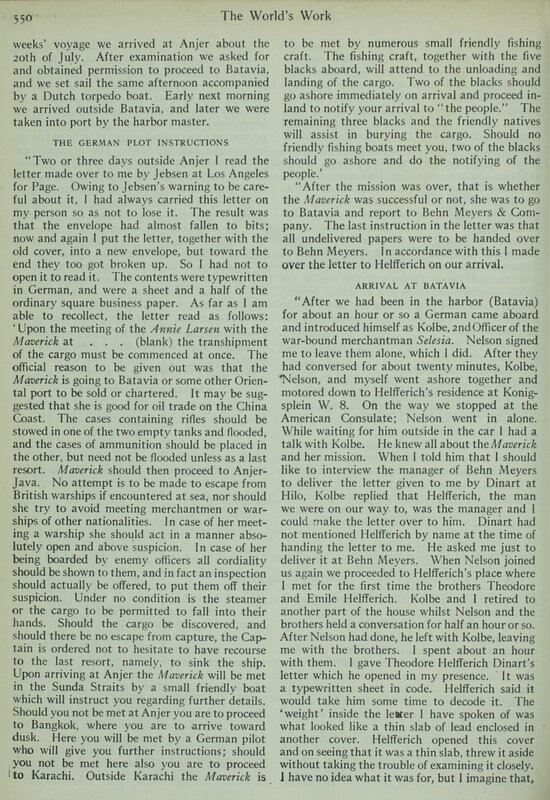 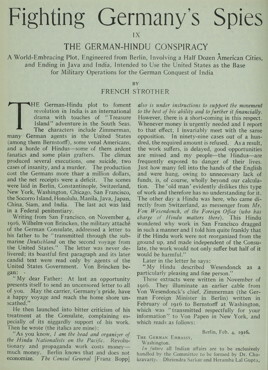 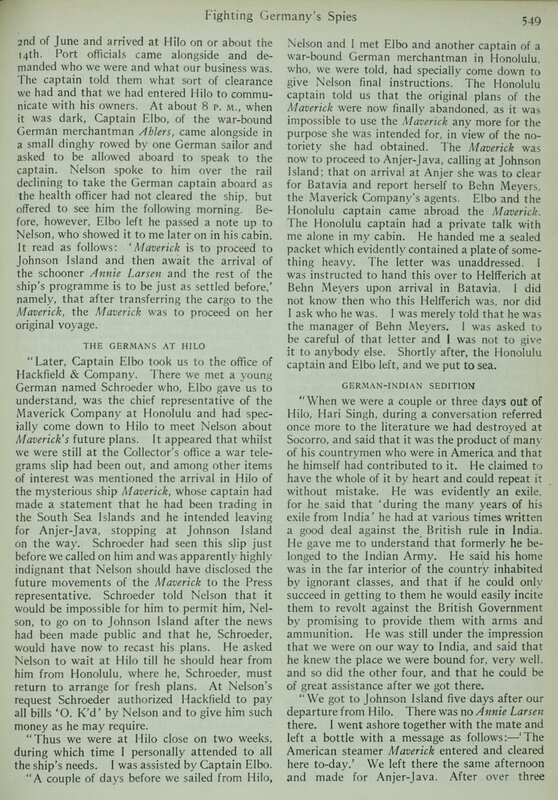 In ninth installment of "Fighting Germany's Spies" in the September 1918 issue of This World's Work (vol. 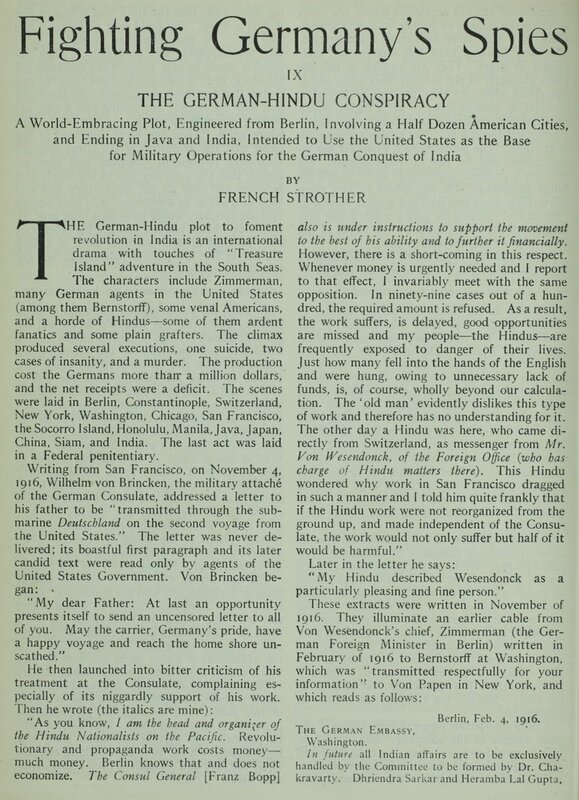 36), French Strother emphasizes the sensational qualities of the Hindu-German Conspiracy Trial: "The climax produced several executions, one suicide, two cases of insanity, and a murder. 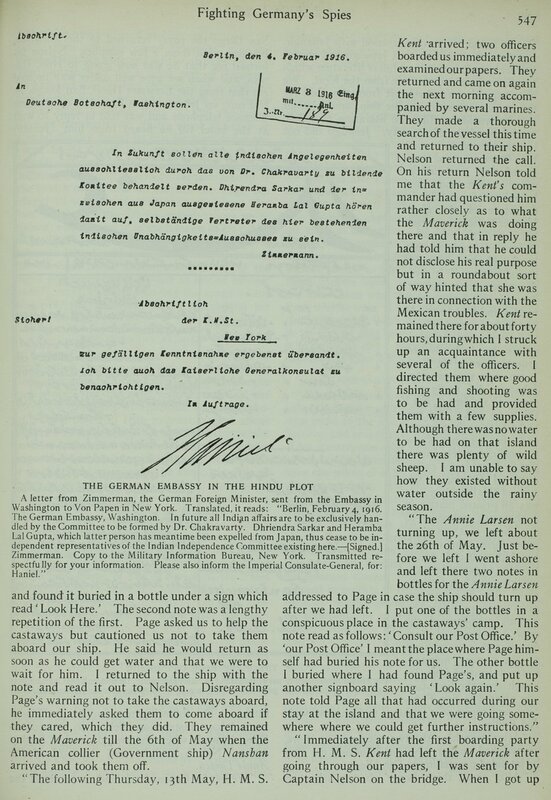 […] The scenes were laid in Berlin, Constantinople, Switzerland, New York, Washington, Chicago, San Francisco, the Socorro Island, Honolulu, Manila, Java, Japan, China, Siam, and India." 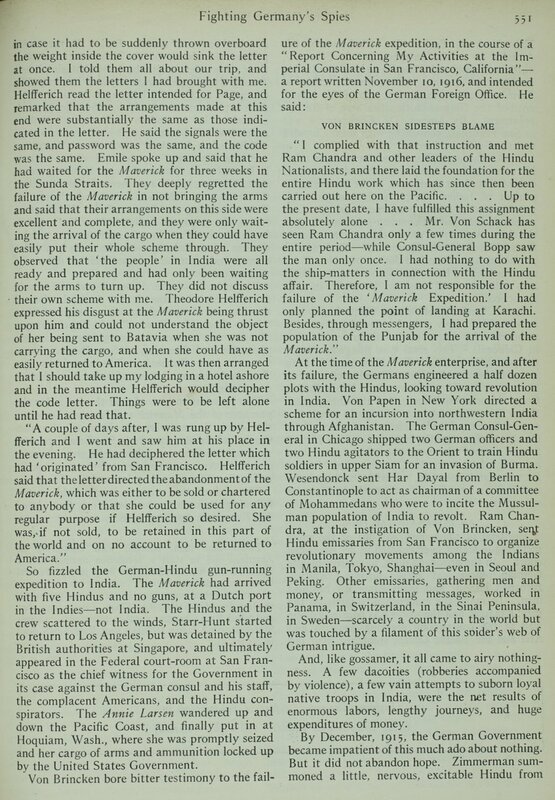 The article goes into great detail about the figures involved in the Hindu-German conspiracy plot, beginning with the founding of the Ghadar party by "fanatical Indian agitator" Har Dayal. 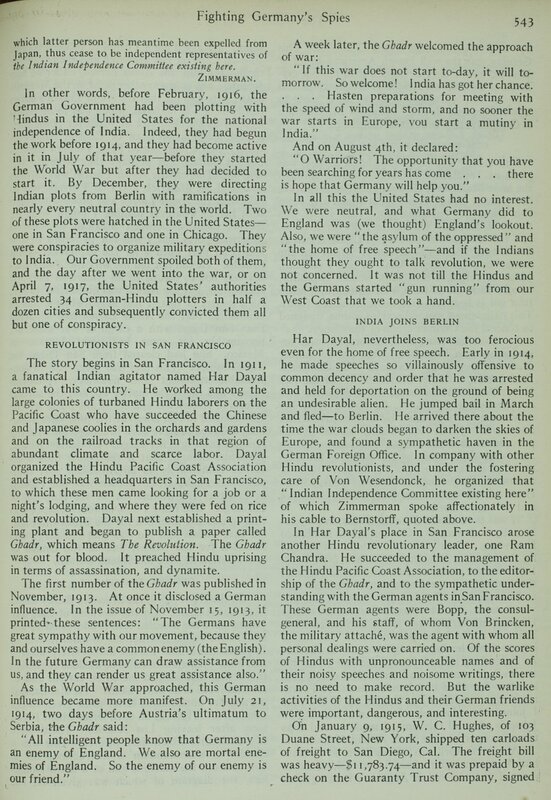 Dayal's movements are traced to Berlin, where he met with the German Foreign Office, and organized the "Indian Independence Committee" under the tutelage of Von Wesendonck. 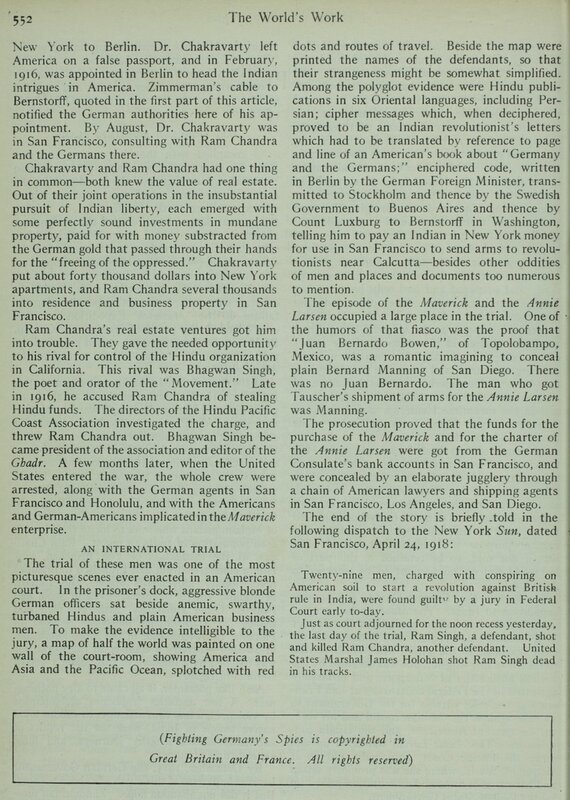 The narrative then follows Ram Chandra, who managed the Hindu Pacific Coast Association and was editor of the Ghadr. 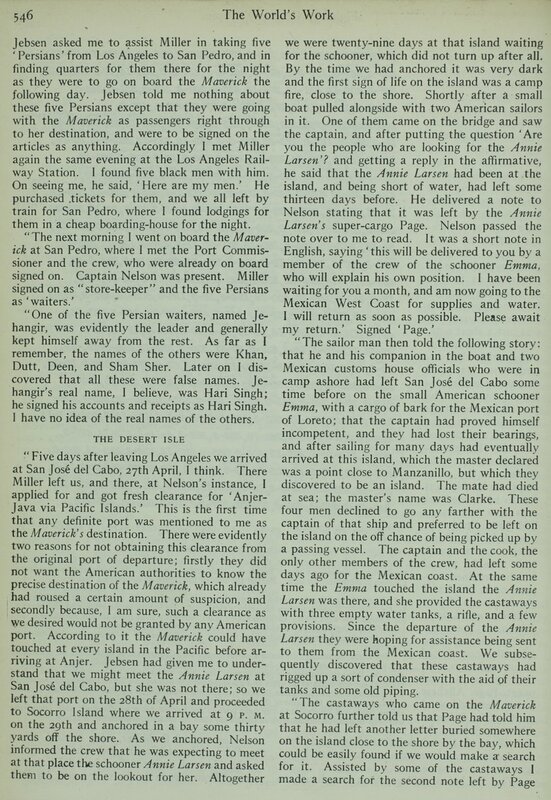 On January 9, 1915, W.C. Hughes shipped ten carloads of freight to San Diego, containing eight thousand rifles and four million cartridges. 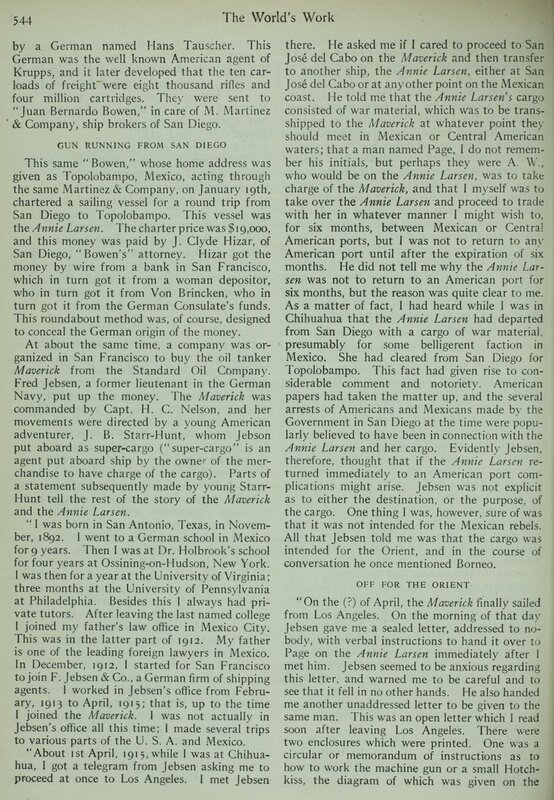 The arms were allegedly meant to be transferred between two ships, the Maverick and the Annie Larsen , a plan that ultimately unraveled. 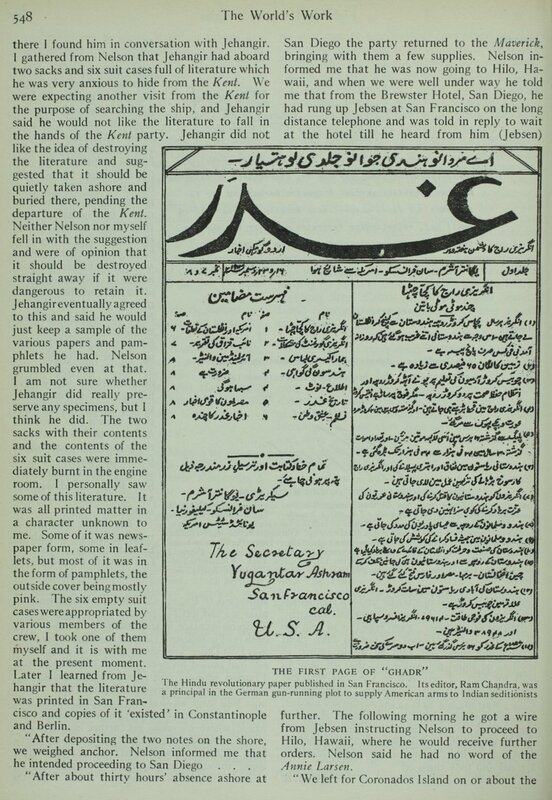 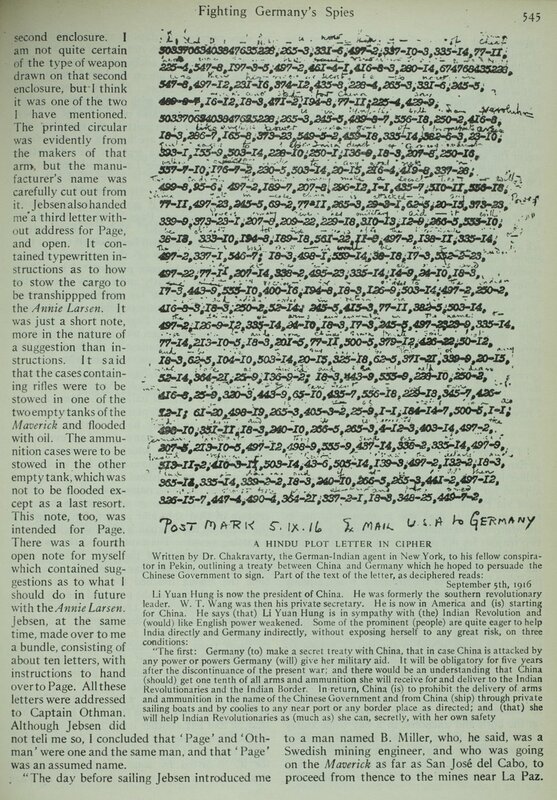 Included in this article are several interesting images, including the first page of the Urdu Ghadr newspaper, a letter from German Foreign Minister Zimmerman to Von Pappen about the "Hindu Plot," and a letter from C. Chakravarty, the German-Indian agent in New York, written in cipher.